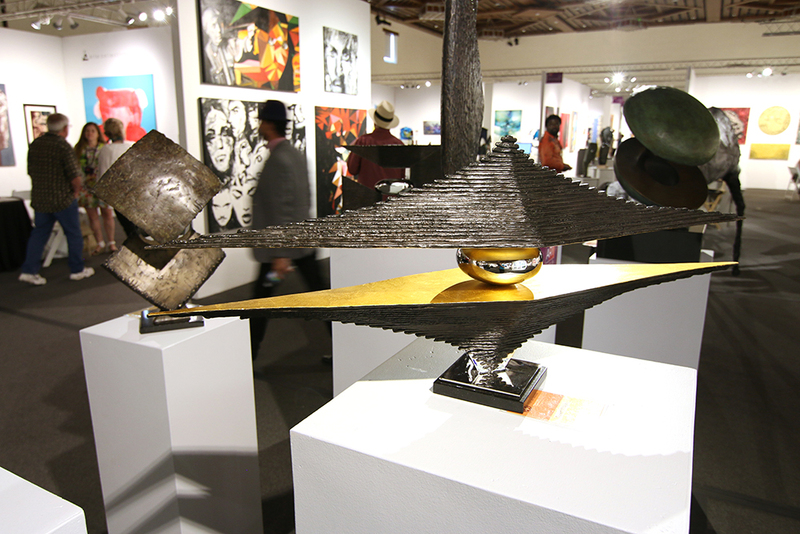 Art Santa Fe is more than just an art show—it’s an art experience. 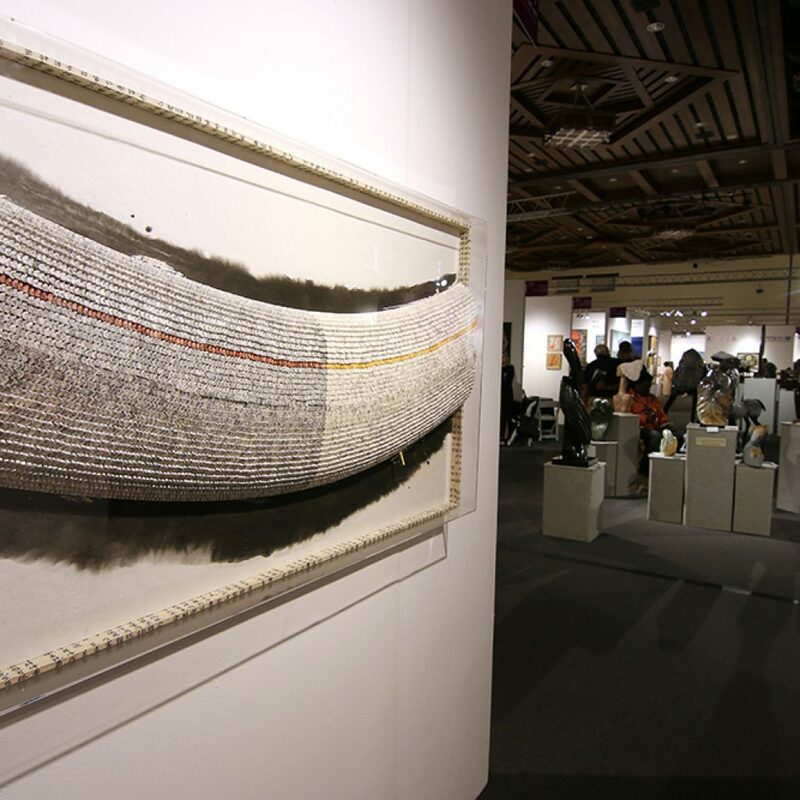 In addition to showcasing contemporary and sophisticated works from artists and galleries from all over the world, Saturday at Art Santa Fe featured an exciting slate of programs specially curated for the show and informed by a common curatorial theme: [FUSION]. 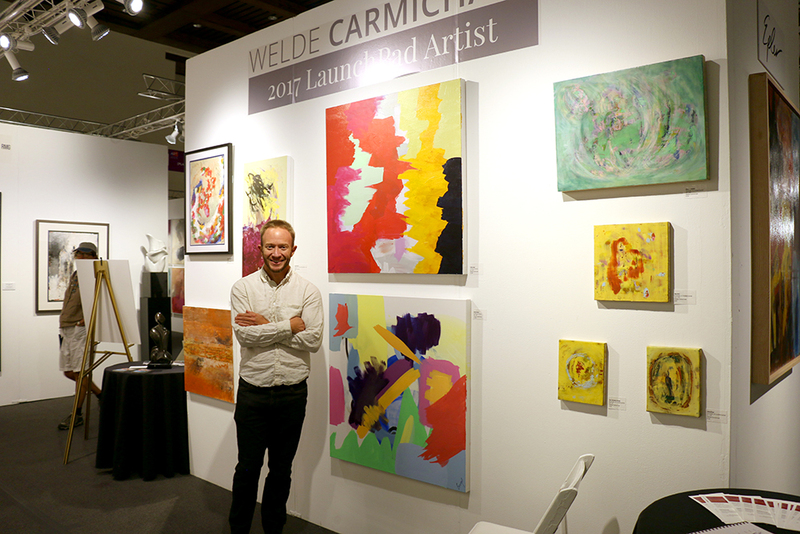 2017 LaunchPad Artist Welde Carmichael wowed attendees with his work that highlights the beauty of the natural world in abstract form. 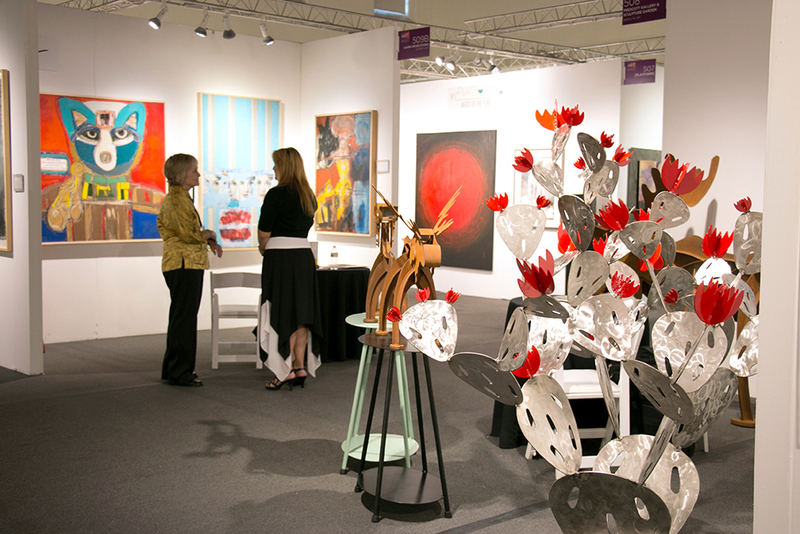 Art lovers compare notes in between paintings by Laura Epler (left) and sculptures by Prescott Gallery (right). 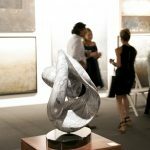 Park Fine Art is one of more than 60+ exhibitors at the 17th edition of Art Santa Fe. 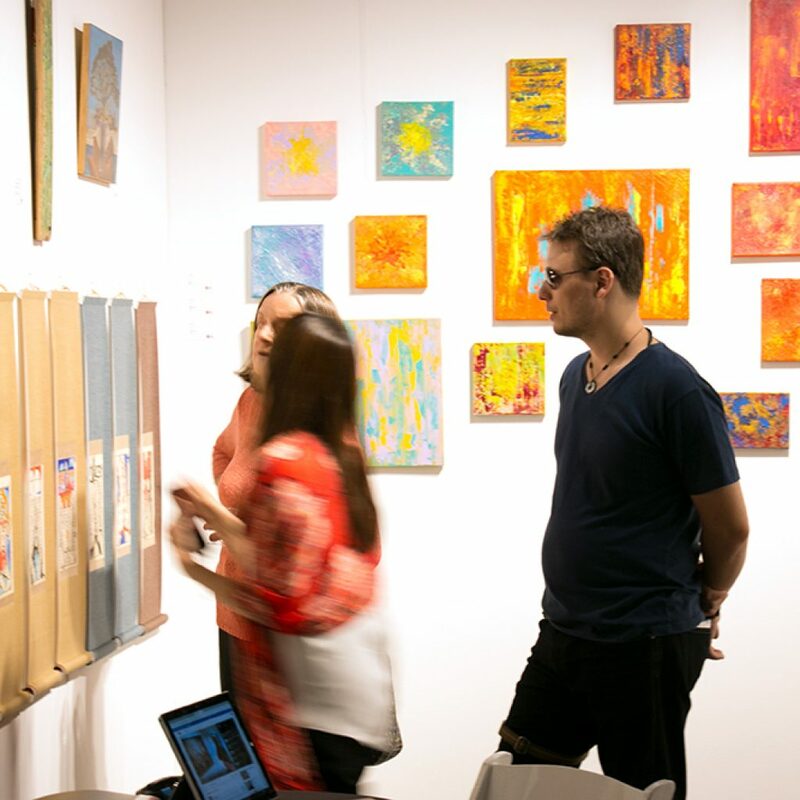 In “Translation,” an Art Lab by artist Zammy Migdal, attendees explored a set of artworks composed by a fusion of the diverse symbols and alphabets adopted throughout the history of humanity. 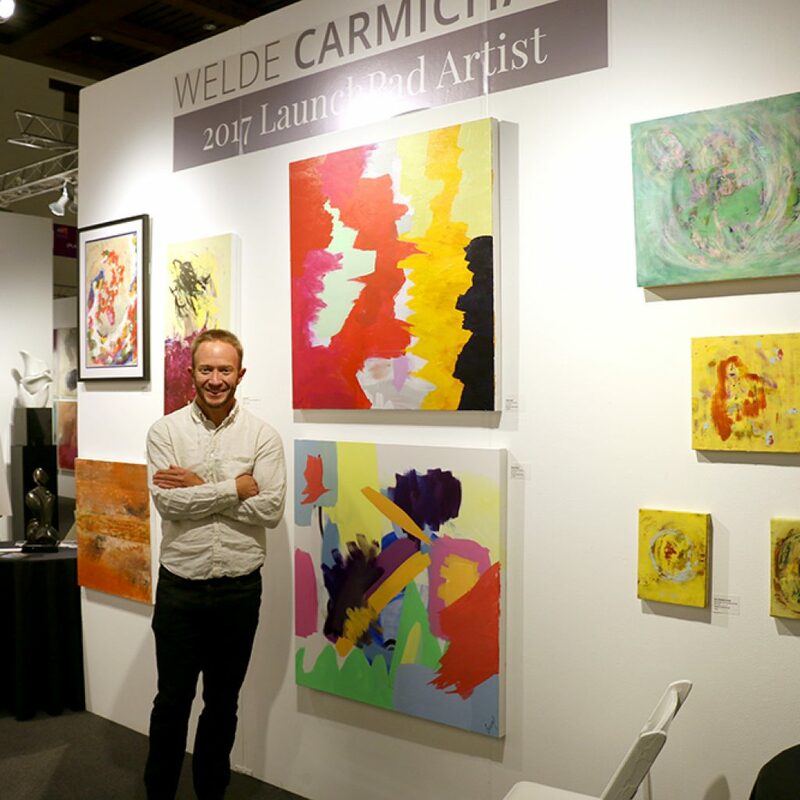 In Meet the Artist and live demonstration events, Spotlight Artists Gabriel Collazo and Angela Brooks of the Collazo Collection showcased their harmonious fusion of styles in the large-scale paintings they create together, and Gary Kim fused layers of paint to achieve the depth and beauty of his subjects. 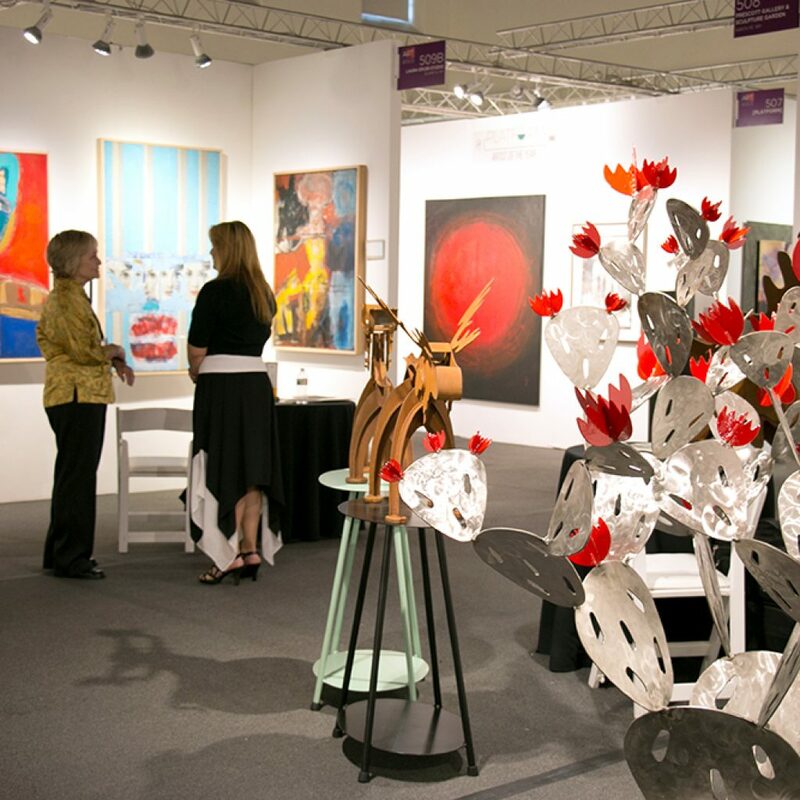 In the 2017 [PLATFORM] Artist of the Year booth, the winner and finalists fused their artwork to create a stunning display that amazed audiences. 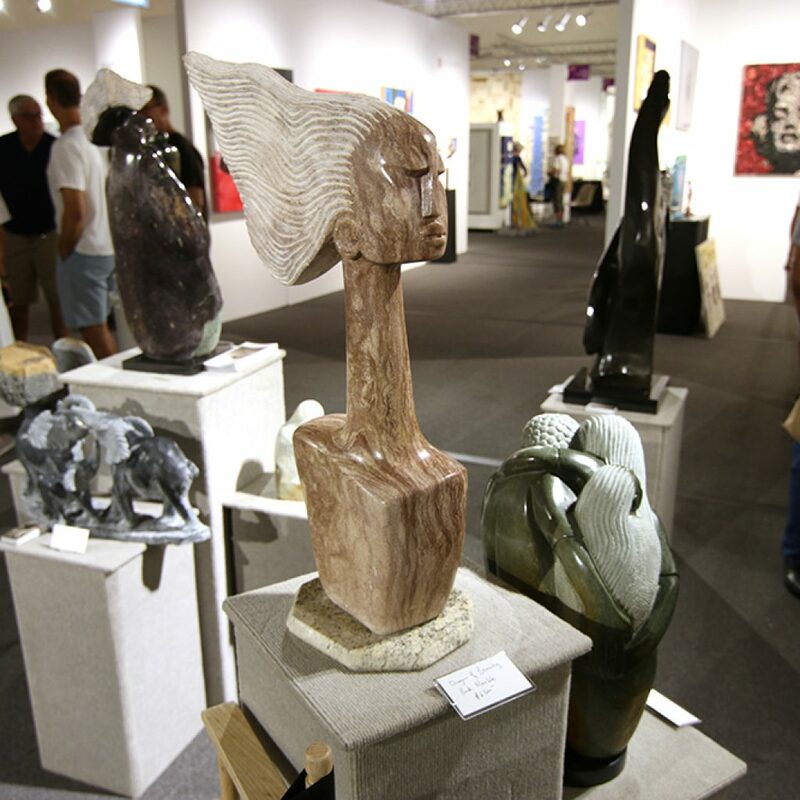 The stone Gedion Nyanhongo uses to create his sculptures is imported from Zimbabwe and is 100 percent hand carved. 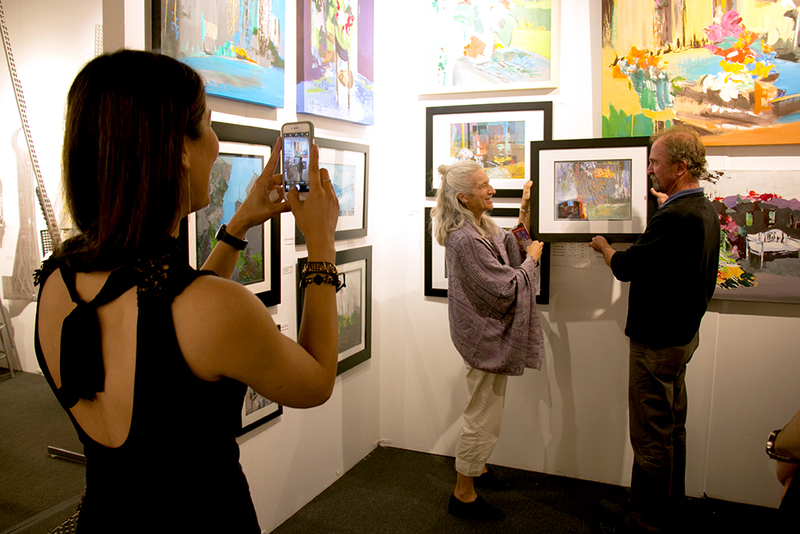 Attendees mingle surrounded by works from A Sanchez Gallery. 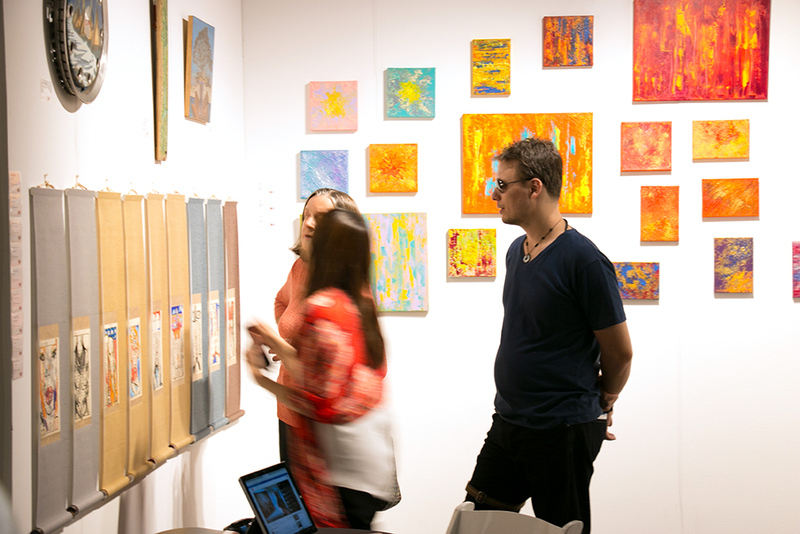 Attendees get up close and personal with the works presented by Yuan Ru Gallery. 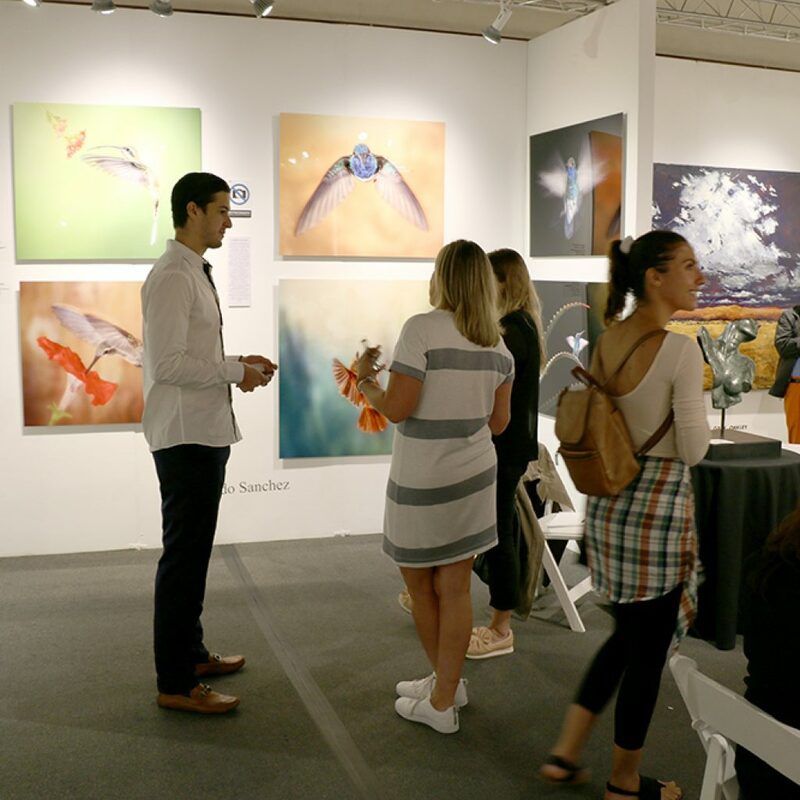 Then, attendees enjoyed a glass of wine in the Louis Jadot Wine Lounge before taking in the sights of the show, including live demonstrations from Julie Schumer of Julie Schumer Fine Art and Alfred Addo of Alfaddo Art Studio. 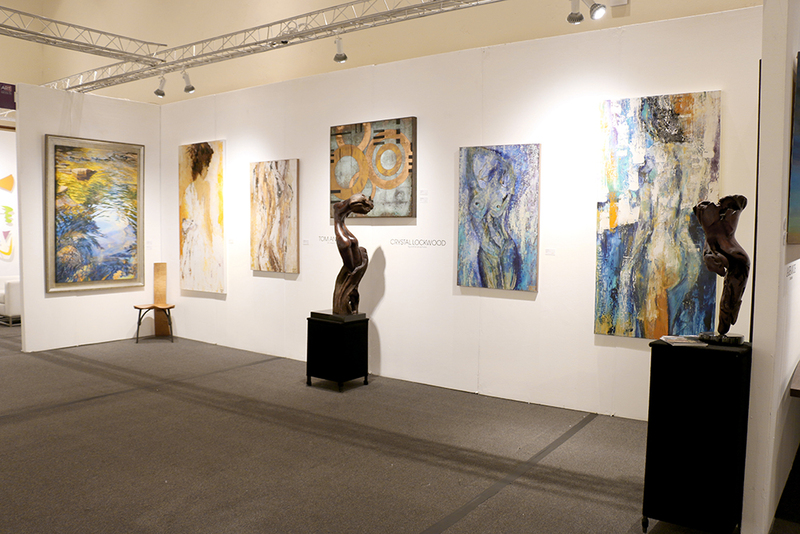 Check out the highlights so far, then come experience the last day of the show firsthand. 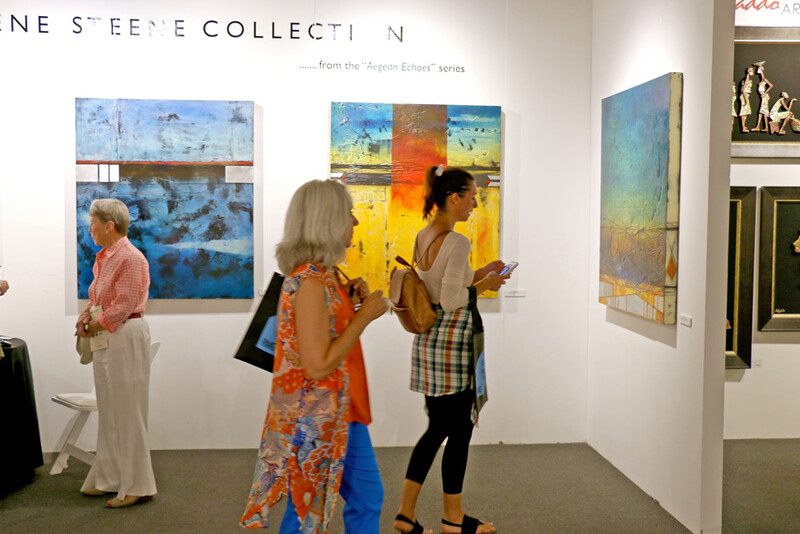 There’s still time left to take in amazing artwork from talented artists and galleries from the region and beyond, and connect with fellow art lovers from around the world. 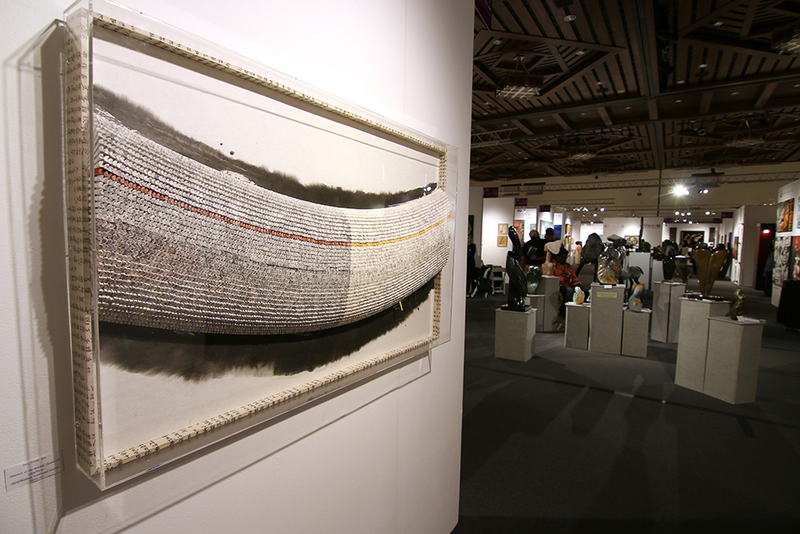 Here’s a look at the full schedule. 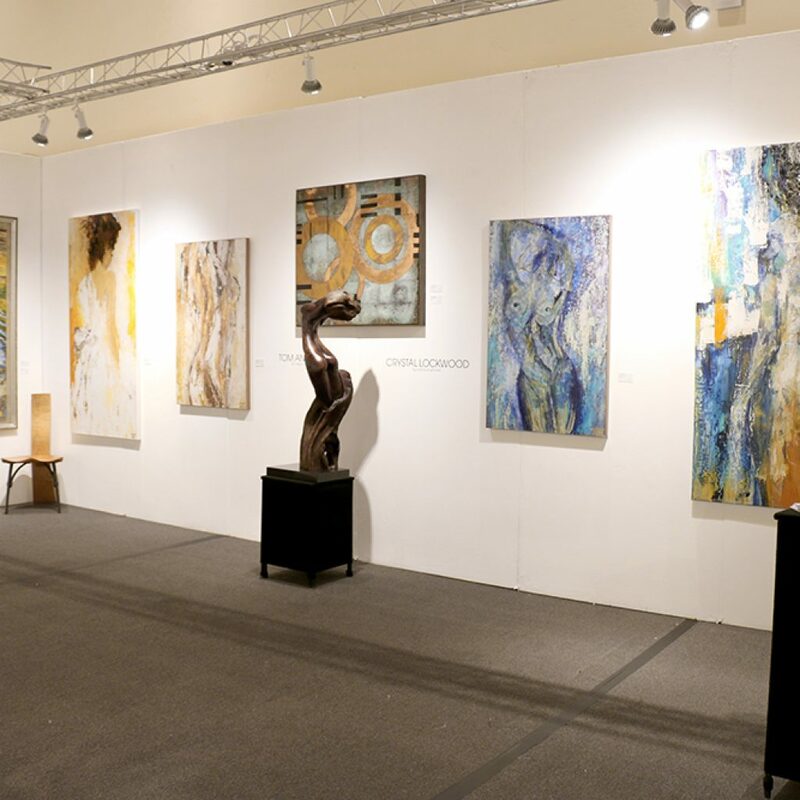 Essence Arts, a gallery located in Olympia, Washington, is featuring the modern abstract and impressionistic paintings of Tom Boatright at Art Santa Fe. 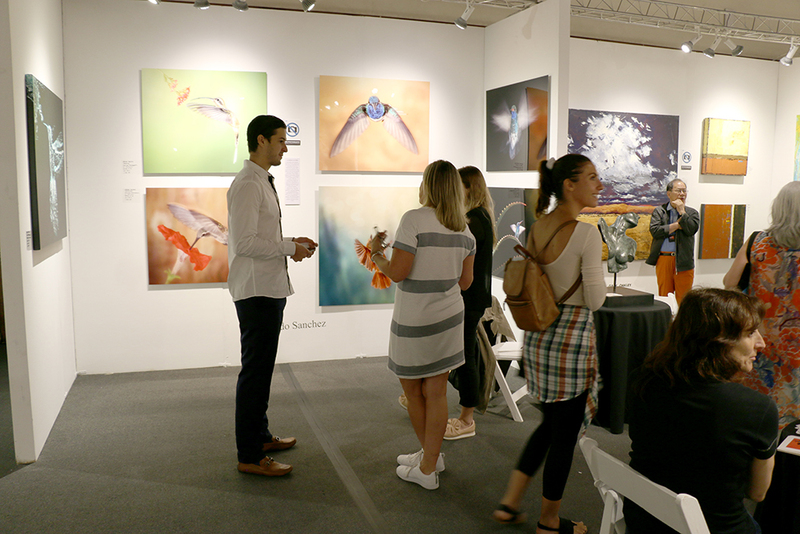 Attendees gravitated toward the abstract paintings of Mina Mokhtarzadeh. 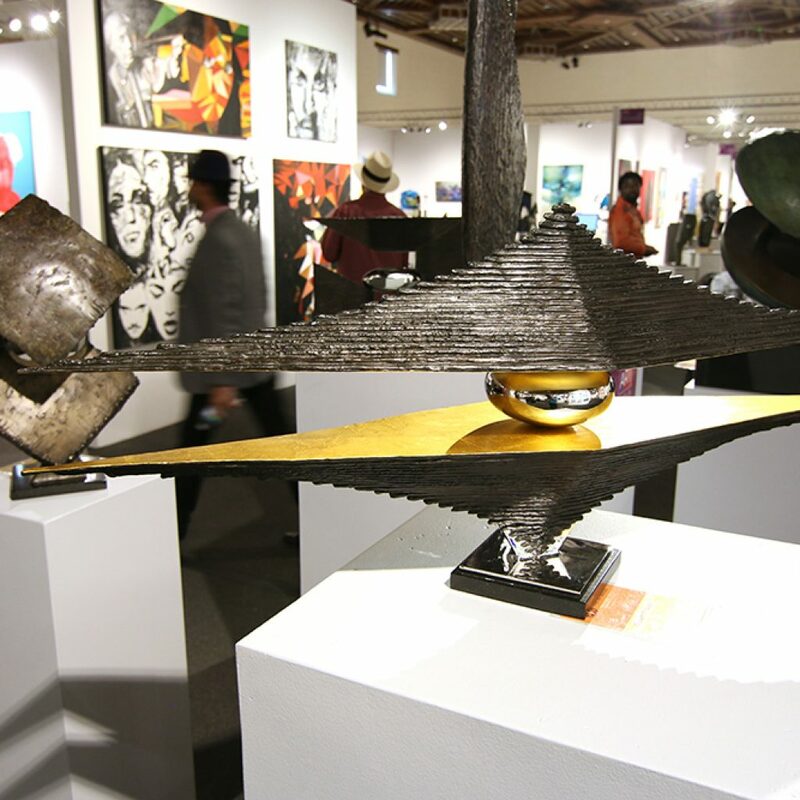 Artist Ted Schaal’s recent work is purely sculptural, emphasizing strong horizontal balance, tension, and negative space. 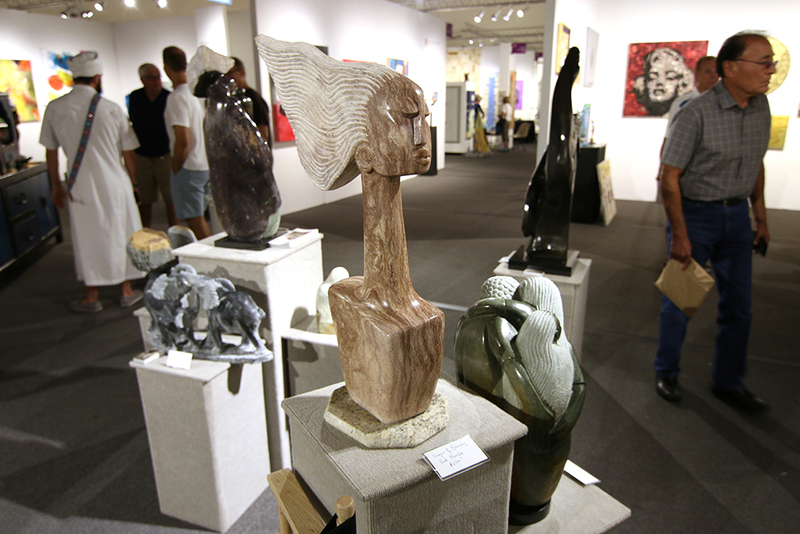 We hope to see you at the final day of the show! 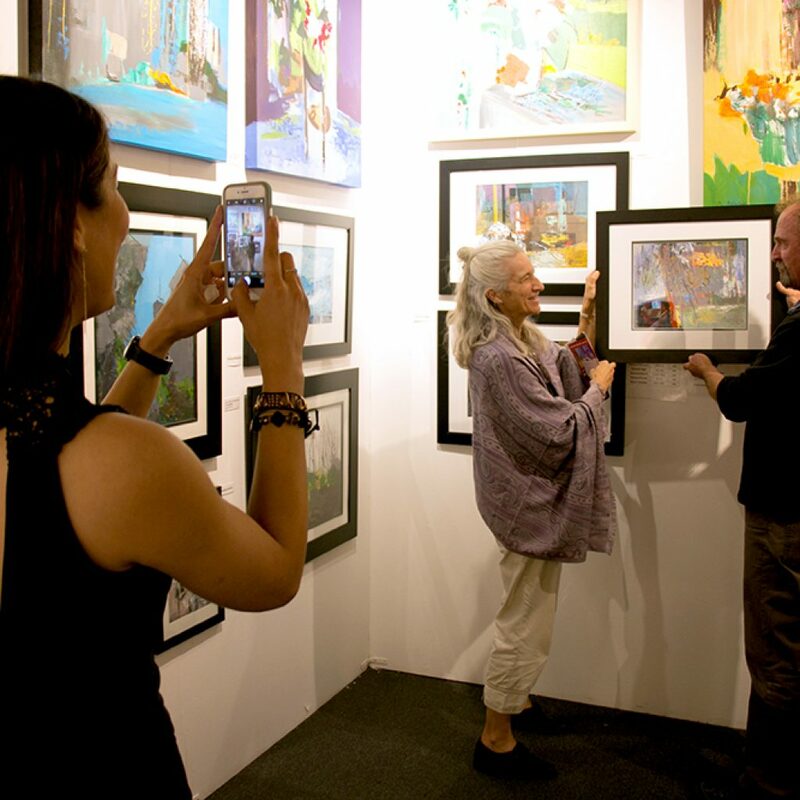 Make sure to follow Art Santa Fe on Facebook, Instagram, and Twitter for updates this weekend and leading up to next year’s show, and check back here for a full show recap soon, featuring sales highlights, exhibitor success stories, and more.